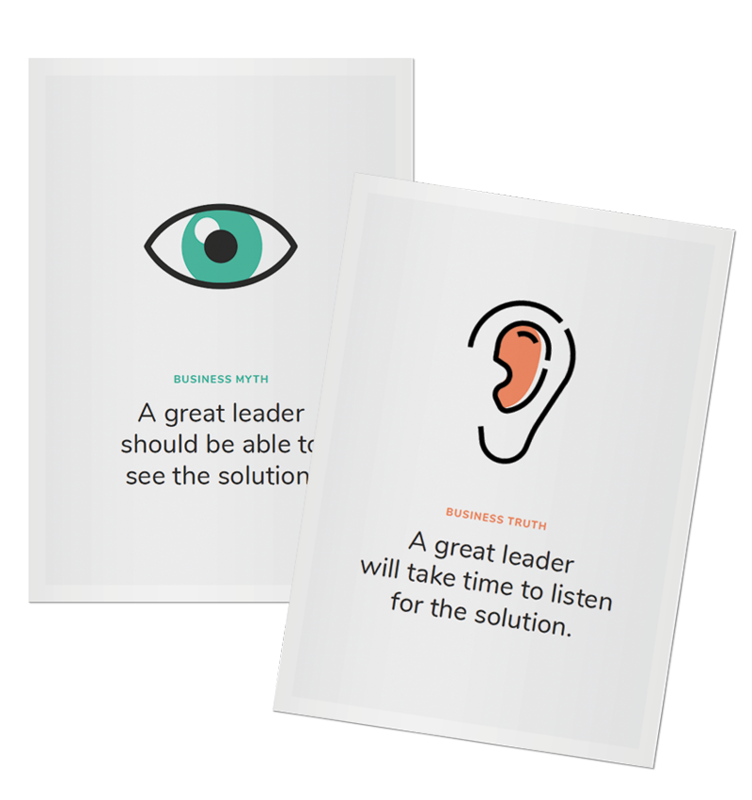 Working within organisations to empower leaders and enable change from the inside out. 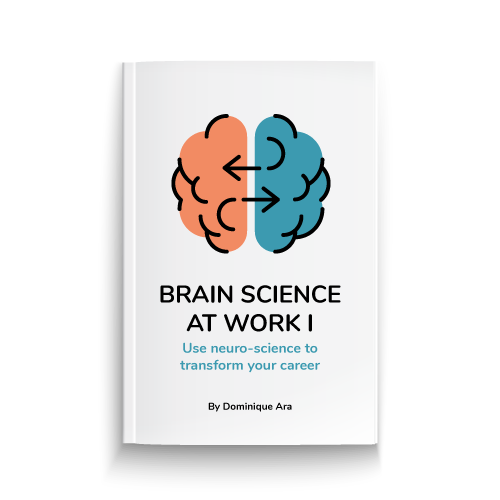 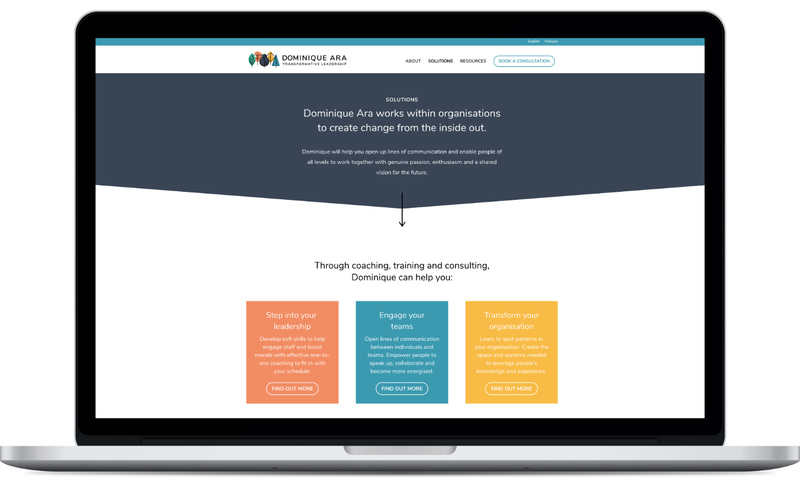 With her extensive experience as a business coach, trainer and speaker, Dominique has helped over 8,000 professionals discover the tools they need to realise their full potential. 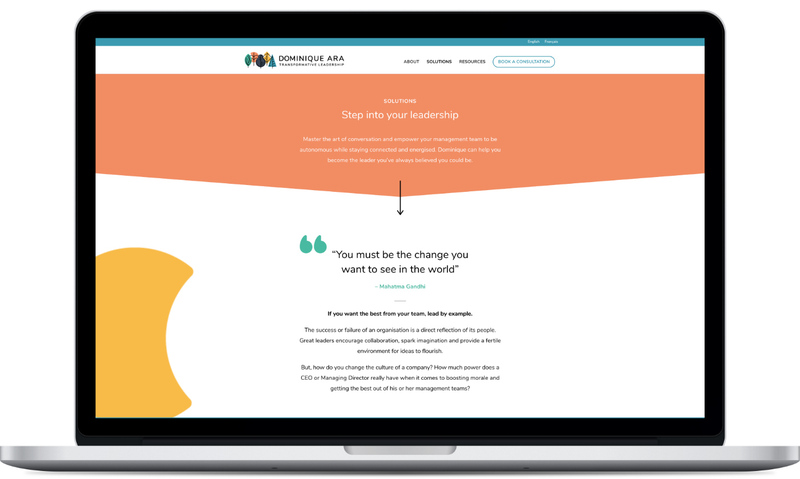 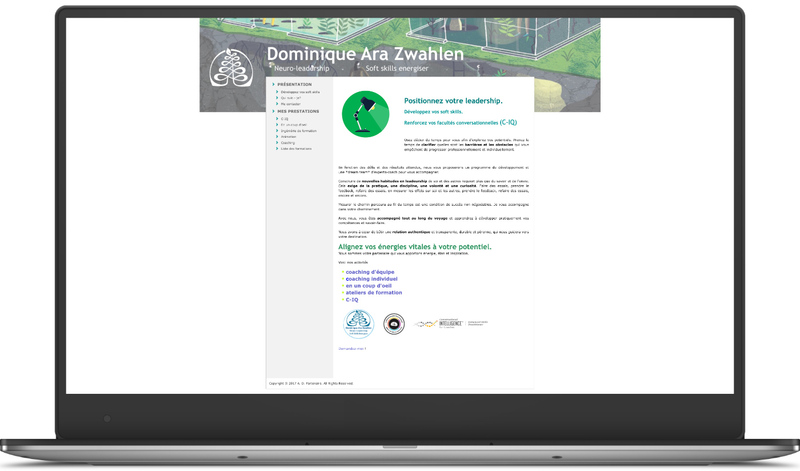 When we were first introduced to Dominique we were amazed by the impact she had already achieved, but her website didn’t portray her as the professional leadership expert that she is. 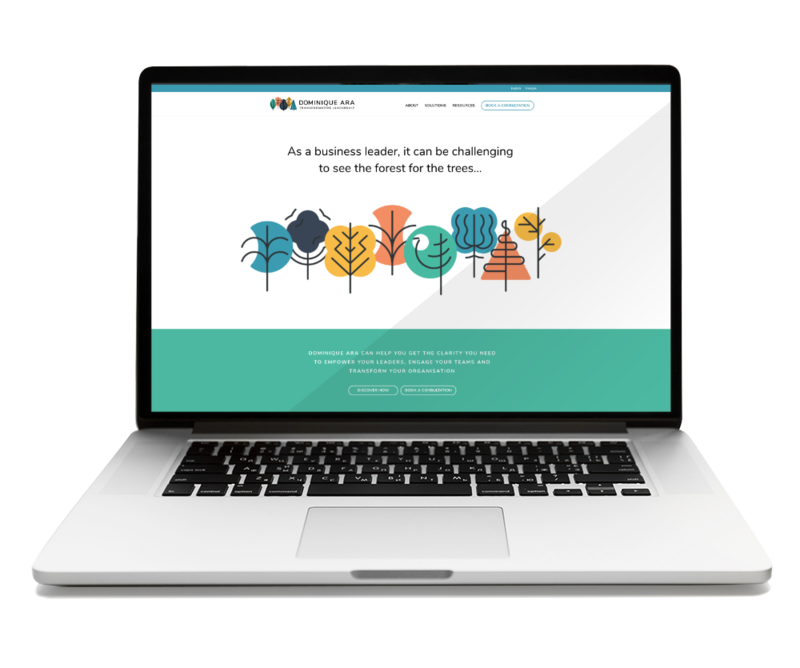 Professional doesn’t have to mean bland and the new website is the perfect example of this. 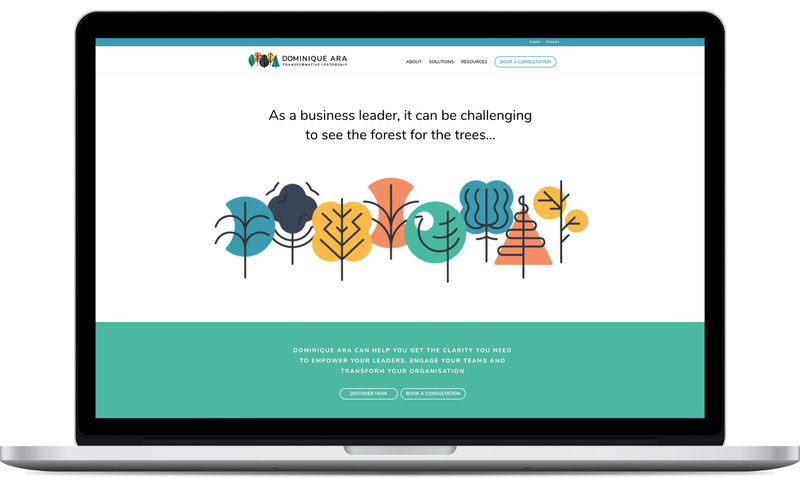 Bright colours are paired with iconic imagery to create a unique visual identity, whilst powerful messaging delivers Dominique’s transformative concepts.